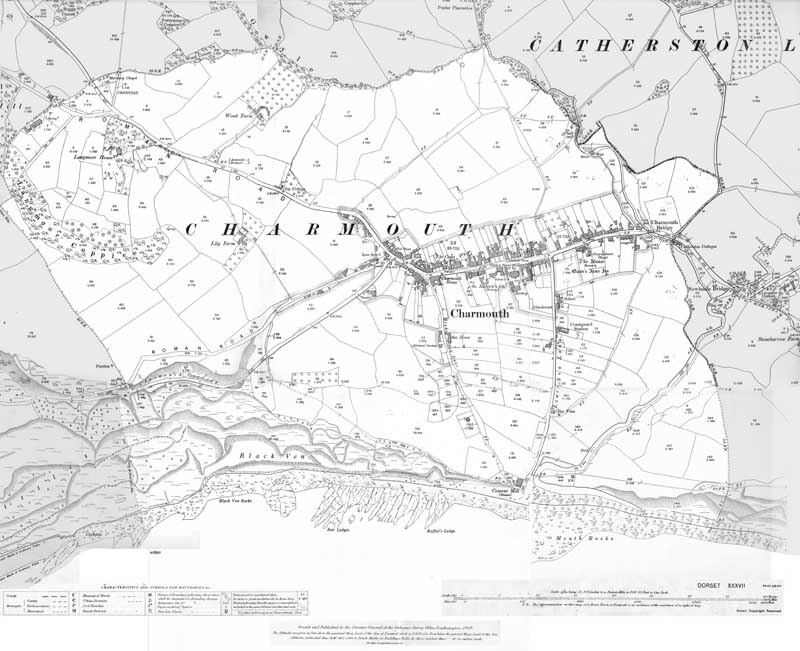 The Ordnance Survey Edition surveyed in 1887, revised in 1901 and printed in 1904, 1:2,500 scale or 25 inches to the mile. Areas beyond the parish boundary are shaded grey. The original key and notes are included at the bottom. 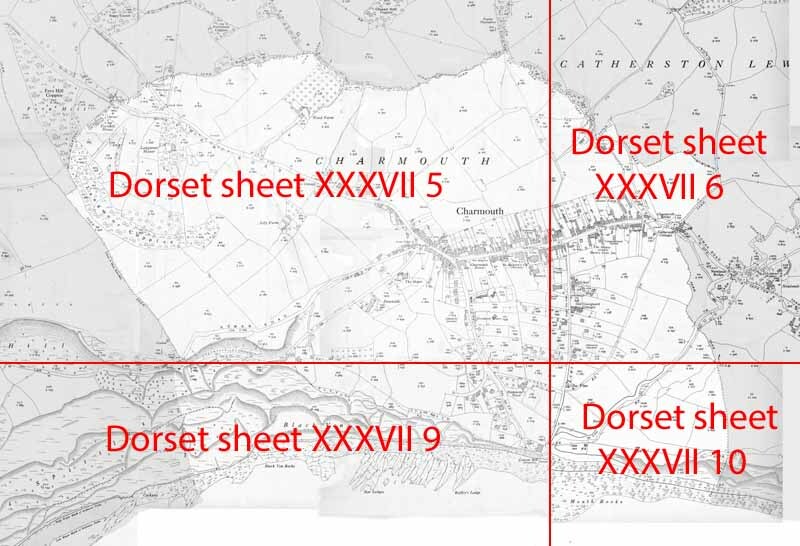 A digital composite of Dorset sheets XXXVII 6, 5, 9 and 10 – see figure to right (click to enlarge). Scanned at 300 dpi. There are some discontinuities where the map sheets join, notably on the beach.